All the applicants are expected to have passed [10+2] exam conducted by the central board of secondary education or any of its state equivalents with a minimum aggregate of 50% of marks overall along with Physics, Chemistry, and Mathematics mandatory subjects from any recognized university/institution. An aggregate marks relaxation of 5% is allowed for the SC/ST candidates. 190 above cutoff is needed for Government College of Engineering. You can get this college through Anna Universiyty counselling . You have to be a science and math student to be able to get admission in this college. Can get admission through either board exams or JEE. Typical cut-off marks for JEE exams vary between 190-196, for Metallurgical Engineering. Candidate must be passed 10+2 from the recognized institute and can get admission through Anna University Counseling. More than 190 cutoff mark is required. No separate entrance exam is conducted. To get an admission at Government College of Engineering, the student must pass the 12th board examinations with physics, chemistry, and mathematics. What is the Admission Process of Government College of Engineering, Salem for B.E Courses? In Government College of Engineering we offer Under Graduate and Post Graduate Degree Students totally 600 students pursuing their UG and totally around pursuing in their PG. 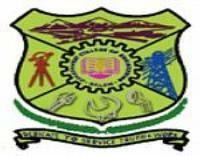 What are the admission details for B.E (CS) in Government College of Engineering, Salem ?